The Korea Herald is publishing a series of articles featuring inter-Korean relations to mark the paper’s 65th anniversary that falls on Aug. 15. Following is the ninth installment. -- Ed. Along with recent moves to physically connect South and North Korea via the Trans-Korean Railway project, expectations of wirelessly linking the two Koreas with the help of the South’s cutting-edge information and communication technology are growing among related businesses and experts in Seoul. As hopes for new business opportunities in North Korea rise under the peace initiative by the South Korean government, Seoul’s ICT businesses are paying keen attention to room for their contribution in developing the North’s telecommunications infrastructure and mobile networks. 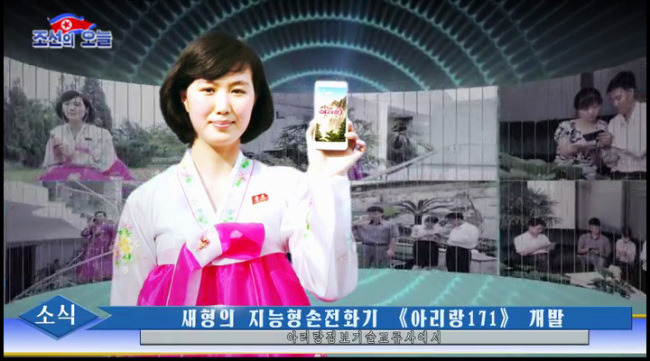 According to the telecom industry, the North Korean ICT market is estimated to be about 100 trillion won ($88 billion) in value, if created after UN sanctions against the country are lifted. The market would see the need for large-scale establishment of fixed-broadband networks to homes and businesses, utilization of satellite communications and expansion of wireless mobile network systems in the secretive country, which will be key to rebuilding it into an open and connected nation in the international community. South Korea’s two leading telecom companies, SK Telecom and KT, have embarked on their own research on the development status of the North’s telecom environment, as part of preparations for possible participation in upcoming economic cooperation projects between the South and North. KT is focusing on utilization of the company’s fixed-line network facilities in Kaesong industrial park and a satellite communications network that is able to cover the whole Korean Peninsula. In 2005, KT had set up a branch in Kaesong and connected around 700 lines for businesses operating in the complex. “Some Kaesong-based companies are calling for modernization of the internet and mobile communications infrastructure there amid rising expectations for reopening of the industrial complex,” said Kim Hee-soo, head of KT’s Economics & Management Research Institute, at a seminar on South-North exchanges and cooperation in the ICT sector held last month. If operation of the Kaesong industrial park resumes, companies will need high-speed internet connections, advanced servers, cloud networks and digital tools for enterprise resource management, Kim said. Meanwhile, SK Telecom is highlighting the example of efficient mobile networks in developing countries such as Vietnam, Myanmar and several African countries. “Since establishment of fixed-line networks requires huge costs and time, some in the telecom industry are focusing on the possibility that North Korea could skip the fixed network and jump to the mobile network environment,” said Yoon Sung-eun, head of a task force at SKT. Telecom industry officials note that North Korean leader Kim Jong-un seeks a “quantum jump” toward an ICT-based knowledge economy, leaping from the current manufacturing-based economy, as he has witnessed the growth of China’s mobile economy. North Korea is not too distant from becoming an ICT country, considering the reclusive regime’s recent development progress in the mobile environment. According to data from the International Telecommunication Union, around 3.6 million North Koreans were using mobile phones as of 2016. Since the number of mobile users surpassed 1 million in 2011, the figure has continued rising rapidly for five years. The total number of cellular phone users is currently estimated to be around 5 million. Koryolink, the first mobile carrier in North Korea, was created in 2008 with joint investments by the regime’s KPTC and Egypt’s Orascom, which commercialized the third-generation mobile network starting in Pyongyang and to 14 major cities as of 2011. The North created its second mobile carrier Kangsung Net in 2011, which was owned by the regime, expanding the size of its mobile population. In 2015, a third telecom firm, Star, was created as a joint venture with Thailand’s Loxley Pacific, which started providing internet services for foreigners in North Korea. North Korean IT businesses are already capable of manufacturing touch-screen smartphones powered by Google’s Android and featuring advanced memory technologies. Arirang 171, the newest smartphone model launched early this year, runs on Android 7.1.1, and features a 5.5-inch display, 4-gigabyte RAM, 32 GB storage and a 13-megapixel rear camera.